'Tis the season! And not just for gift-giving and tasty food. The close of the year also brings monthly and year-end reports for work. Joy! Report writing doesn't have to be a total lump of coal. Here are some quick tips to help you make the process easier and the end result more effective. 1. Focus on one or two key recipients. Even if your report is going to a lot of people, there are probably only one or two decision-makers and influencers who need the information most. Focus on them as you write, choosing a tone that's appropriate for them, and ideas that you know will resonate to be your points of emphasis. Learn more about why voice matters and how to achieve the right tone. In addition to focusing on the logic of the content, use formatting to guide the reader through the monthly or year-end report. Skillful use of subheads and sections makes it easy for busy readers to skim and scan to find the information most relevant to them. Lists and graphics also reduce eye fatigue from staring at tons of text. Don't use a lot of fonts. While they may be pretty to look at, they can be hard to comprehend. One you've written the report, create a short narrative that captures the key take-aways and a brief look at the hows and whys of them. You can include additional information about the highlights you visualized, too. The goal is to make sure that the most important stuff gets in here, in case your reader doesn't have time to consume the whole report. This goes at the top of the report, before or after the dashboard. Pro Tip: Think about the questions or objections you're likely to get from recipients and consider addressing those in the summary. Get more tips for writing summaries. 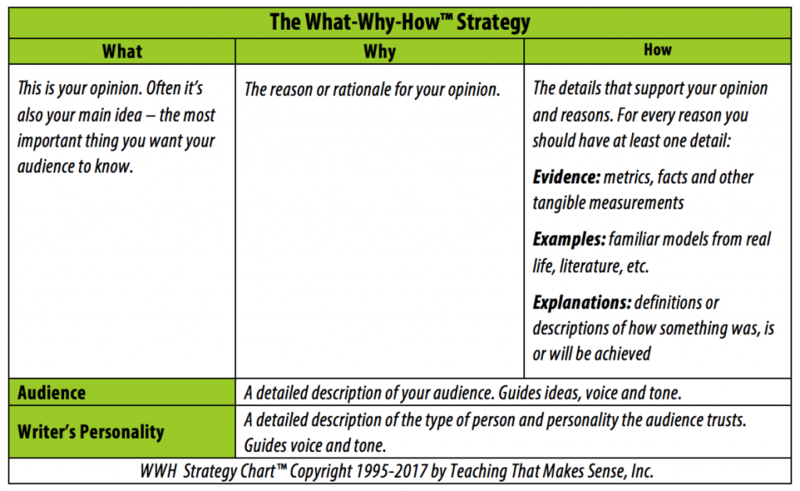 For more help on writing your year-end or monthly reports, try the What-Why-How Strategy©. Get a detailed description of how to use it. Using these techniques and strategies improves the quality of any report you have to produce for work. Next post: Email marketing: Don’t be this gal!